COPYRIGHT. The property which has been secured to the author of a book, map, chart, or musical composition, print, cut or engraving, for a limited time, by the constitution and laws of the United States. Lord Mansfield defines copy, or as it is now termed copyright, as follows: I use the word copy in the technical sense in which that name or term has been used for ages, to signify an incorporeal right to the sole printing and publishing of something intellectual, communicated by letters. 4 Burr. 3296; Merl. Repert. mot Contrefacon. 2. This subject will be considered by taking a view of, 1. The legislation of the United States. 2. Of the persons entitled to a copyright. 3. For what it is granted. 4. Nature of the right. 5. Its duration. 6. Proceedings to obtain Such right. 7. Requisites after the grant. 8. Remedies. 9. Former grants. 3. - 1. The legislation of the United States. The Constitution of the United States, art. 1, s. 8, gives power to congress "to promote the progress of science, and the useful arts, by securing, for limited times, to authors and inventors, the exclusive right to their respective writings and discoveries. In pursuance of this constitutional autbority, congress passed the act of May 31, 1790; 1 Story's L. U. S. 94, and the act of April 29, 1802, 2 Story's L. U. S. 866, but now repealed by the act of February 3, 1831, 4 Shars. Cont. of Story, 2221, saving, always such rights as may have been obtained in conformity to their provision. By this last mentioned act, entitled " An act to amend the several acts respecting copyrights," the subject is now regulated. 4.- 2. Of the persons entitled to a copyright. Any person or persons, being a citizen or citizens of the United States, or resident therein, who is the author or authors of any book or books, map, chart, or musical composition, or who has designed, etched, engraved, worked, or caused to be engraved, etched or worked from his own design, any print or engraving, and the executors, administrators, or legal representatives of such person or persons. Sect. 1, and sect. 8. 5. - 3. For what work the copyright is granted. The copyright is granted for any book or books, map, chart, or musical composition, which may be now, (February 3, 1831, the date of the act,) made or composed, and not printed or published, or shall hereafter be made or composed, or any print or engraving, which the author has invented, designed, etched, engraved or worked, or caused to be engraved, etched or worked from his own design. Sect. 1. 6.- 4. Nature of the right. The person or persons to whom a copyrigbt has been lawfully granted, have the sole right and liberty of printing, reprinting, publishing and vending such book or books, map, chart, musical composition, print, out or engraving, in whole or in part. Sect. 1. 7.- 5. Duration of the copyright. The right extends for the term of twenty-eight Years from the time of recording the title of the book, &c., in the office of the clerk of the court, as directed by law. Sect. 1. 8. But this time may be extended by the following provisions of the act. 9. Sect. 2. If, at the expiration of the aforesaid term of years, such author, inventor, designer, engraver, or any of them, where the work had been originally composed and made by wore than one person, be still living, and a citizen or citizens of the United States, or resident therein, or being dead, shall have left a widow, or child, or children, either or all then living, the same exclusive right shall be continued to such author, designer, or engraver, or if dead, then to such widow and child, or children, for the further term of fourteen years: Provided, that the title of the work so secured shall be a second time recorded, and all such other regulations as are herein required in regard to original copyrights, be complied with in respect to such renewed copyright, and that within six months before the expiration of the first term. 10. Sect. 3. 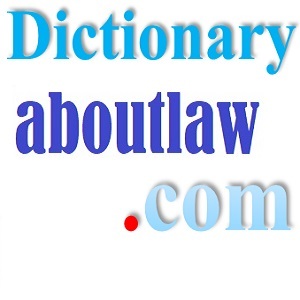 In all cases of renewal of copyright under this act, such author or proprietor shall, within two months from the date of, said renewal, cause a copy of the record thereof to be published in one or more of the newspapers printed in the United States, for the space of four weeks. 11. - Sect. 16. Whenever a copyright has been heretofore obtained by an author or authors, inventor, designer, or engraver, of any book, map, chart, print, cut, or engraving, or by a proprietor of the same; if such author or authors, or either of them such inventor, desiginer, or engraver, be living at the passage of this act, then, such author or authors, or the survivor of them, such inventor, engraver, or designer, shall continue to have tbe same exclusive right to his book, chart, map, print, cut or engraving, with the benefit of each and all the provisions of this act, for the security thereof, for such additional period of time as will, together with the tune which shall have elapsed from the first entry of such copyright, make up the term of twenty-eight years, with the same right to his widow, child, or children, to renew the copyright, at the expiration thereof, as is provided in relation to copyrights originally secured under this act. And if such author or authors, inventor, designer, or engraver, shall not be living at the passage of this act, then, his or their heirs, executors and administrators, shall be entitled to the like exclusive enjoyment of said copyright, with the benefit of each and all the provisions of this act for the security thereof, for the period of twenty-eight years from the first entry of said copyright with the like privilege of renewal to the widow, child, or children, of author or authors, designer, inventor, or engraver, as is provided in relation to copyrights originally secured under this act. 12. - 6. Proceedings to obtain a copyright. No person shall be entitled to the benefit of this act, unless he shall, before publication, deposit a printed copy of the title of such book, or books, map, chart, musical composition, print, out, or engraving, in the clerk's office of the district court of the district wherein the author or proprietor shall reside, and the clerk of such court is hereby directed and required to record the same therein forthwith, in a book to be kept for that purpose, in the words following (giving a copy of the title under the seal of the court, to the said author or proprietor, whenever he shall require the same:) " District of_____to wit: Be it remembered, that on the _____ day of ______ Anno Domini, A. B. of the said district, hath deposited in this office the title of a book, (map, chart, or otherwise, as the case may be,) the title of which is in the words following, to wit; (here insert the title;) the right whereof he claims as author (or proprietor, as the case may be in conformity with an act of congress, entitled 'An act to amend the several acts respecting copyrights.' C. D. clerk of the district." For which record, the clerk shall be entitled to receive from the person claiming such right as aforesaid, fifty cents; and the like sum for every copy, under seal, actually given to such person or his assigns. The act to establish the Smithsonian Institution, for the increase and diffusion of knowledge among men, enacts, section 10, that the author or proprietor of any book, map, chart, musical composition, print, cut, or engraving, for, which a copyright shall be secured under the existing acts of congress, or those 'which shall hereafter be enacted respecting copyrights, shall, within three months from the publication of said book, etc., deliver or cause to be delivered, one copy of the same to the librarian of the Smithsonian Institution, and one copy to the librarian, of Congress Library, for the use of the said libraries. 14. The author or proprietor of any such book, map, chart, musical composition, print, cut, or engraving, shall, within three months from the publication of said book, map, chart, musical composition, print, cut, or engraving, deliver or cause to be delivered a copy. of the same to the clerk of said district. And it shall be the duty of the clerk of each district court, at least once in every year, to transmit a certified list of all such records of copyright, including the titles so recorded, and the date of record, and also all the several copies of books or other works deposited in his office, according to this act, to the secretary of state, to be preserved in his office. 15.- 8. The remedies may be considered with regard, 1. To the penalties wbich may be incurred. 2. The issue in actions under this act. 3. The costs. 4. The Iimitation. 16. - 1. The penalties imposed by this act relate, first, to the violation of the copyright of books secondly, the violation of the copyright of prints, outs or engravings, maps, charts, or musical compositions thirdly, the printing or publishing of any manuscripts without the consent of the author or legal proprietor; fourthly, for inserting in any book, &c., that the copyright has been secured contrary to truth. 17. - First. If any other person or persons, from and after recording the title of any book or books, according to this act, shall, within the term or terms herein limited, print, publish, or import, or cause to be printed, published, or imported, any copy of such book or books, without the consent of the person legally entitled to the copyright thereof, first had and obtained in writing, signed in presence of two or more credible witnesses, or shall, knowing the same to be so printed or imported, publish, sell, or expose to sale, or cause to be published, sold, or exposed to sale, any copy of such book, without such consent in writing, then such offender Shall forfeit every copy of such book to the person legally, at the time, entitled to the copyright thereof and shall also forfeit and pay fifty cents for every such sheet which may be found in his possession, either printed or printing, published, imported, or exposed to sale, contrary tor the intent of this act; the one moiety thereof to such legal owner of the copyright as aforesaid, and the other to the use of the United States; to be recovered by action of debt in any court having competent jurisdiction thereof. 18. - Secondly. If any person or persons, after the recording the title of any print, cut or engraving, map, chart, or musical composition, according to the provisions of this act, shall, within the term or terms limited by this act, engrave, etch, or work, sell, or Copy, or cause to be engraved, etched, worked, or sold, or copied, either on the whole, or by varying, adding to, or diminisbing the main design, with intent to evade the law, or shall print or import for sale, or cause to be printed or imported for sale, any such map, cbart, musical composition, print, cut, or engraving, or any parts thereof, without the consent of the proprietor or proprietors of the copyright thereof, first obtained in writing, signed in the presense of two credible witnesses; or, knowing the same to be so printed or imported, without such consent, shall publish, sell, or expose to sale, or in any manner dispose of any such map, chart, musical composition, engraving, cut, or print, without such consent, as foresaid; then such offenders shall forfeit the plate or plates on which such map, chart, musical composition, engraving, cut, or print, shall be copied, and also all and every sheet thereof so copied or printed, as aforesaid, to the proprietor or proprietors of the copyright thereof; and shall further forfeit one dollar for every sheet of such map, chart, musical composition, print, cut, or engraving, which may be found in his or their possession, printed or published, or exposed to sale, contrary to the true intent and meaning of this act; the one moiety thereof to the proprietor or proprietors, and the other moiety to the use of the United States, to be recovered in any court having competent jurisdiction thereof. 19. Nothing in this act shall be construed to extend to prohibit the importation or vending, printing or publishing, of any map, chart, book, musical composition, print, or engraving, written, composed, or made by any person not being a citizen of the United States, nor resident within the jurisdiction thereof. 20. Thirdly. Any person or persons, who shall print or publish any manuscript whatever, without the consent of the author or legal proprietor first obtained as aforesaid, (if such author or proprietor be a citizen of the United States, or resident therein,) shall be liable to suffer and pay to the author or proprietor all damages occasioned by such injury, to be recovered by a special action on the case founded upon this act, in any court having cognizance thereof; and the several courts of the United States empowered to grant injunctions to prevent the violation of the rights of authors and inventors, are hereby empowered to grant injunctions, in like manner, according to the principles of equity, to restrain such publication of any manuscript, as aforesaid. 21.-Fourthly. If any person or persons, from and after the passing of this act, shall print or publish any book, map, chart, musical composition, print, cut, or engraving, not having legally acquired the copyright thereof, and shall insert or impress that the same hath been entered according to act of congress, or words purporting the same, every person so offending shall forfeit and pay one hundred dollars; one moiety thereof to the person who shall sue for the same, and the other to the use of the United States, to be re-covered by action of debt, in any court of record leaving cognizance thereof. 22. - 2. The issue. If any person or persons shall be sued or prosecuted, for any matter, act or thing done under or by virtue of this act, he or they may plead the general issue, and give the special matter in evidence. 23. - 3. The costs. In all recoveries under this act, either for damages, forfeitures, or penalties, full costs shall be allowed thereon, anything in any former act to the contrary notwithstanding. 24. - 4. The limitation of actions is regulated as follows. No action or prosecution shall be maintained in any case of forfeiture or penalty under this act, unless the same shall have been commenced within two years after the cause of action shall have arisen. 25. - 9. Former grants. All and several the provisions of this act, intended for the protection and security of. copyrights, and providing remedies, penalties, and forfeitures in case of violation thereof, shall be held and construed to extend to the benefit of the legal proprietor or proprietors of each and every copyright heretofore obtained, according to law, during the term thereof, in the same manner as if such copyright had been entered and secured according to the directions of this act. And by the 16th section it is provided that this act shall not extend to any copyright heretofore secured, the term of which has already expired. 26. Copyrights are secured in most countries of Europe. In Great Britain, an author has a copyright in his work absolutely for twenty-eight years, and if he be living at the end of that period, for the residue of his life. In France, the copyright of an author extends to twenty years after his death. In most, if not in all the German states, it is perpetual; it extends only over the state in which it is granted. In Russia, the right of an author or translator continues during his life, and his heirs enjoy the privilege twenty-five years afterwards. No manuscript or printed work of an author can be sold for his debts. 2 Am. Jur. 253, 4. Vide, generally, 2 Am. Jur. 248; 10 Am. Jur. 62; 1 Law Intell. 66; and the articles Literary property; Manuscript.